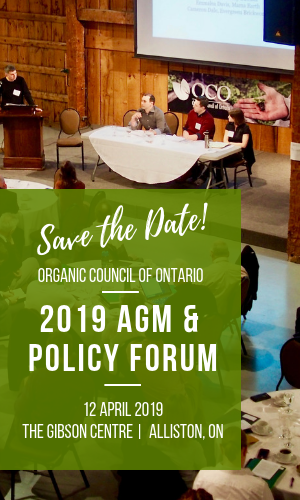 OCO in partnership with Sustain Ontario organized a 2 day Food, Farms, Fish and Finance Conference. Happening over Saturday, May 25 & Sunday, May 26, it was the first conference of it’s kind in Canada and connected social finance leaders with investors and entrepreneurs to build a stronger food economy and sustainable food system. This was an action-oriented forum with opportunities to learn from leaders in the field and participate in strategic conversations to move key issues forward. Michael Shuman, keynote speaker, is the director of research for Cutting Edge Capital, and the Business Alliance for Local Living Economies. He is a Fellow of the Post Carbon Institute and author of The Small Mart Revolution: How Local Businesses are Beating the Global Competition.